Back row (left to right) Washington Dodge Jr, unknown, Walter Lord, William MacQuitty. 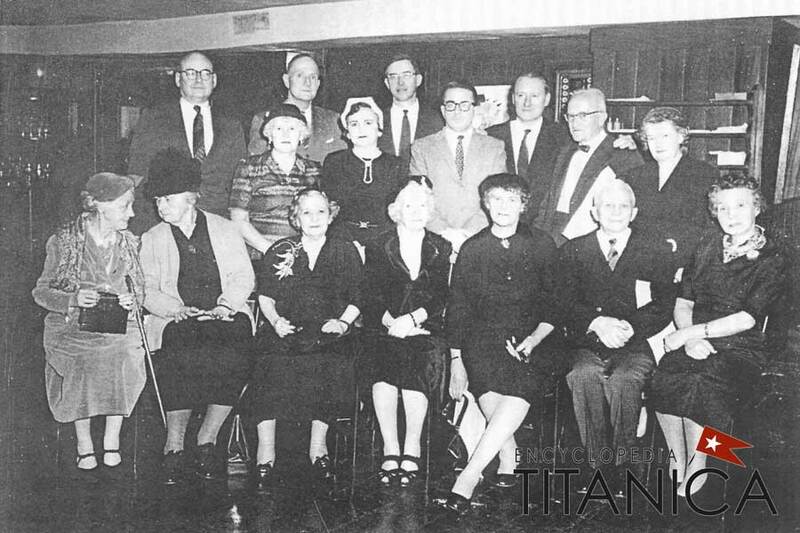 Middle row: Margaret Devaney O'Neill, an impostor survivor, Neville Coutts, unknown, Kate Gilnagh Manning. Front row: Eleanor Cassebeer, May Futrelle, Renee Harris, Elizabeth Dowdell Fierer, Margueriet Frolicher-Schwarzenbach, Richard Pfropper, Julia Smyth White.